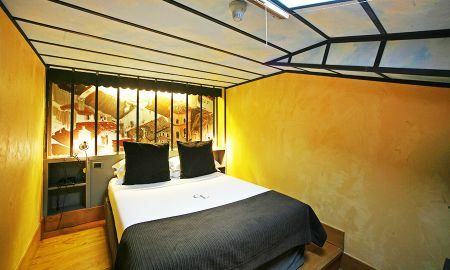 Cour Des Loges is located in the heart of Old Lyon, 110 yards from the Temple du Change. 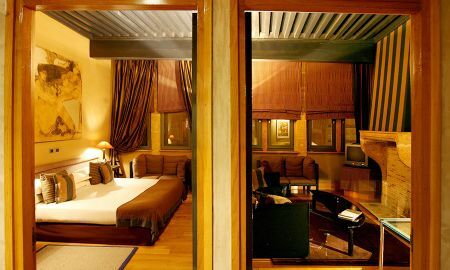 It has a luxury spa, a swimming pool and 5-star air-conditioned accommodations. 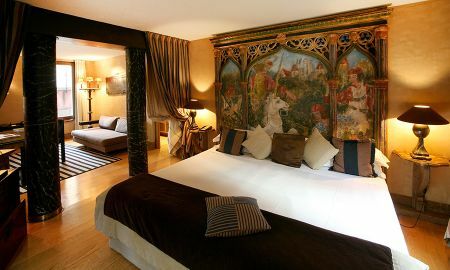 Each guest room at the Cour des Loges has satellite TV, a private bathroom, free Wi-Fi and a variety of modern appliances. The hotel’s Café-Epicerie serves gourmet cuisine and uses fresh seasonal produce. It also has an outdoor terrace. Guests can relax with a drink in the hotel bar. The Cour Des Loges is made-up of 4 restored Renaissance buildings set around a glass-roofed patio, where you can enjoy your meals. 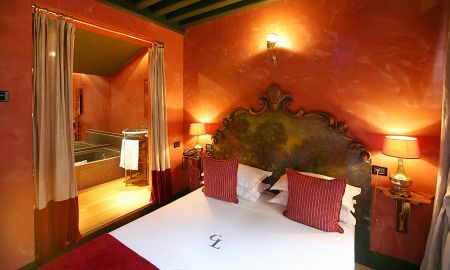 The hotel's spa features a fitness room, hammam, thermal bathtubs and a heated counter-current swimming pool. Guests of the Cour des Loges can visit the nearby Lyon Cathedral and discover many boutique shops and restaurants around Old Lyon. located at the heart of old Lyon, in the 5th district. 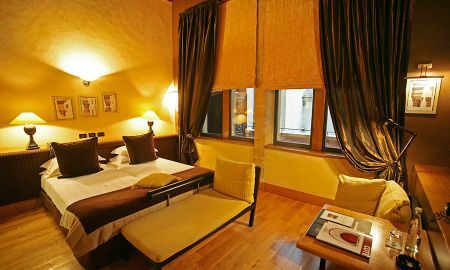 Please note that for bookings of 5 rooms or more, the property policies may change and an earnest money deposit is required .